Kevin's Socks - monemades Webseite! 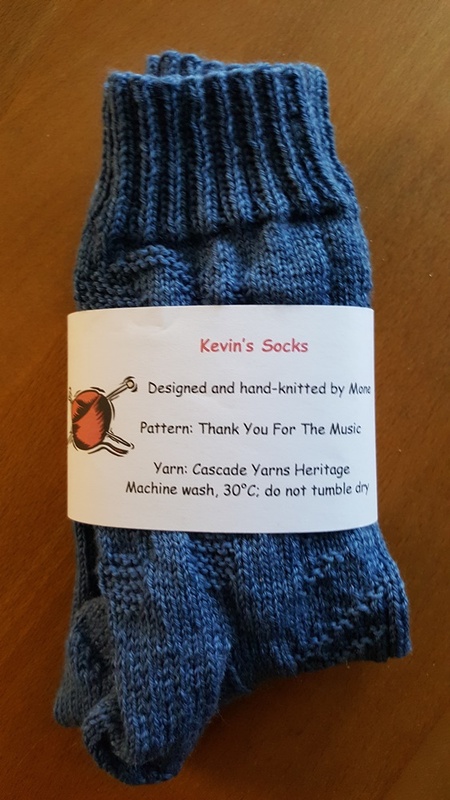 The knitting itself wasn't difficult at all, once I had made up my mind and had created charts with the correct stitch count and look and I was happy as a lark when Kevin's socks were ready to be gifted. 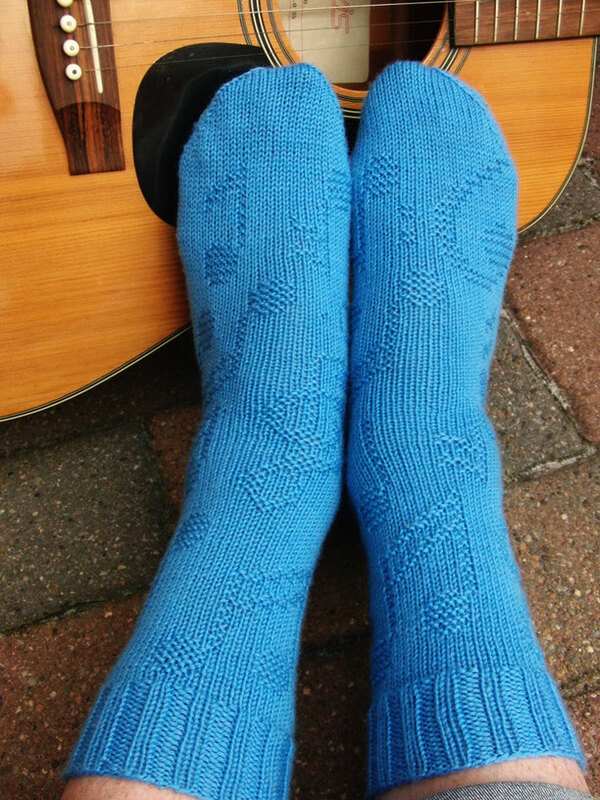 And it was at that point that I realized that other music lovers might like to knit these socks (or have them knitted), too. 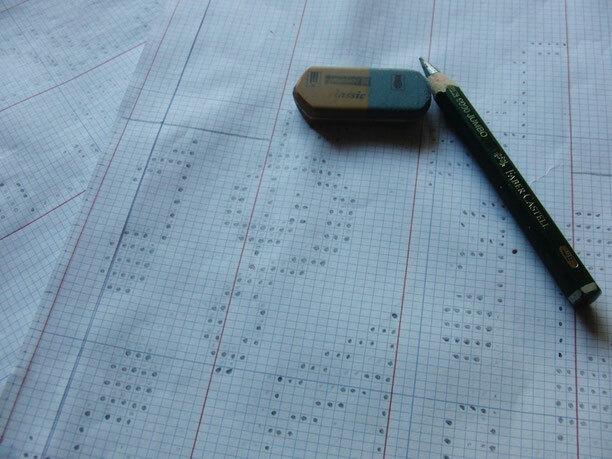 So back to the drawing board I went: I created charts for all the motifs I used, wrote up the instructions, and even created 'placement suggestion' charts. On top of that I knit a second pair of socks for pictures - for the simple reason that everyone here has rather small feet and there wasn't anyone around who could have modeled socks this big. 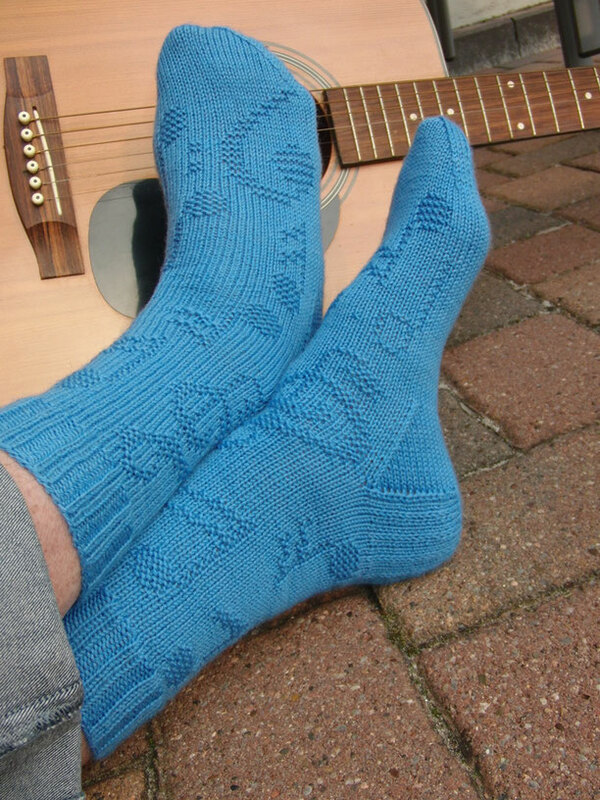 The socks are knitted cuff down with heel flap and gusset. They come in two sizes, M to fit leg circumference 20 cm (7.75") and L to fit leg circumference 22.5 cm ( 9"). Leg length and foot length are adjustable. The pattern comes with 15 different motifs: musical notes and bass and treble clef, between 5 and 18 stitches wide and between 10 and 46 rows high. The idea is to place them randomly on a Stockinette Stitch background. 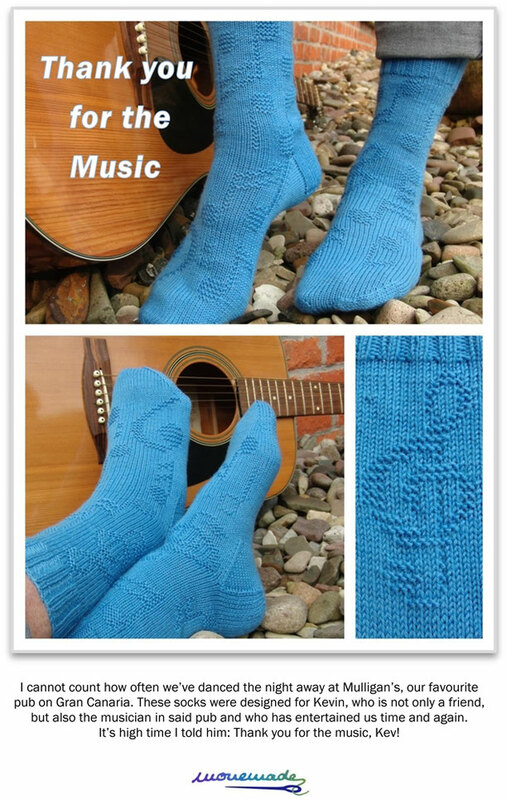 Just use one motif, for example the treble clef as an eye-catching stand-alone feature or place different motifs all over the socks – whatever you like best. If you don’t want to place the music motifs randomly, there are placement suggestions given at the end of the pattern. Now all that's left to say (and yes, I do know it's hard to get the Abba song out of your head again): Thank you for the music, Kev!